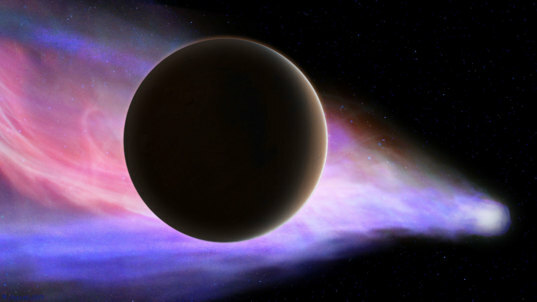 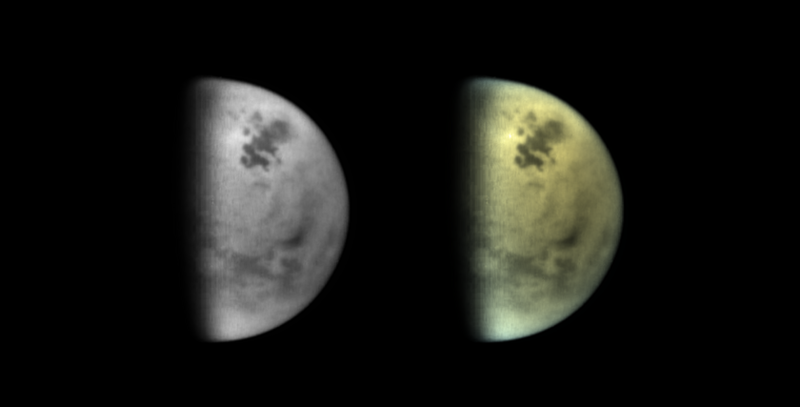 A portrait of Titan using images taken through several infrared filters (left) processed into "pseudocolor" (right) reveals its northern lakes region receiving summer sun. Kraken Mare, on the south, has crisper edges; Ligeia Mare, to the upper right, has fuzzier edges. 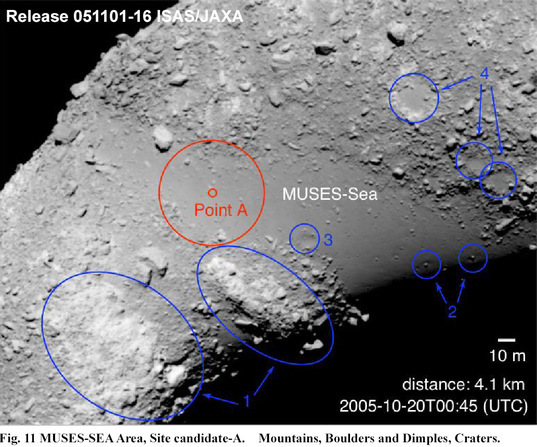 To the south of the lakes, near the bottom of the disk, are the Senkyo and Belet sand dune regions.